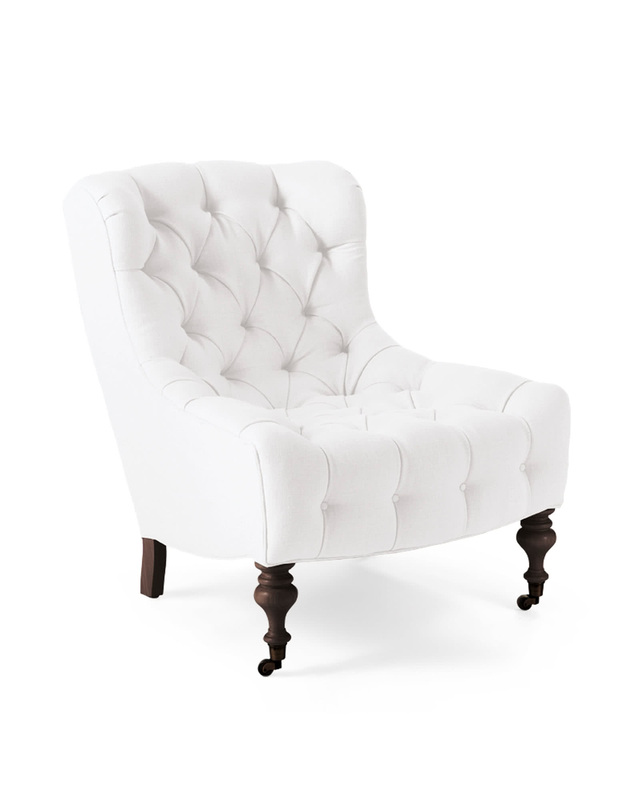 Bruno ChairBruno Chair, alt="Bruno Chair, "
Print It’s not a club chair. 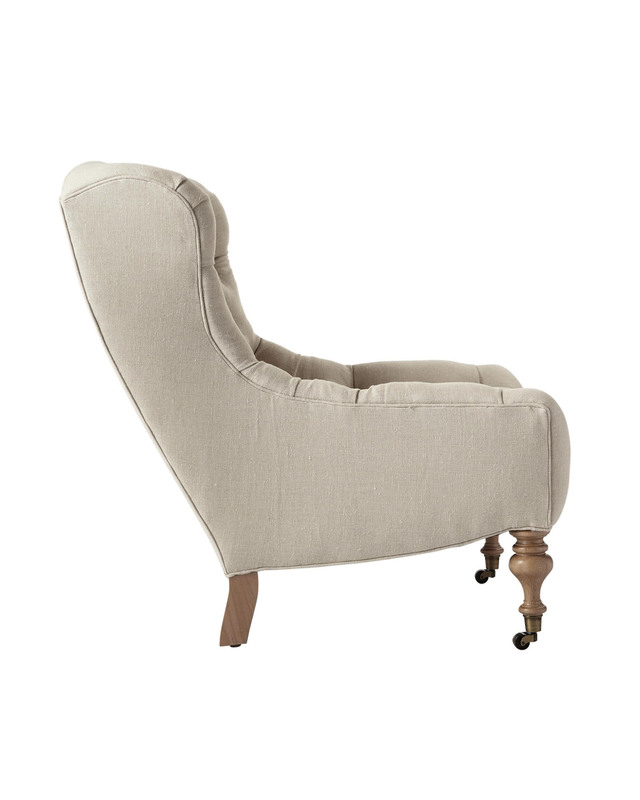 Or a traditional slipper chair. It’s somewhere glamorously retro right in between. 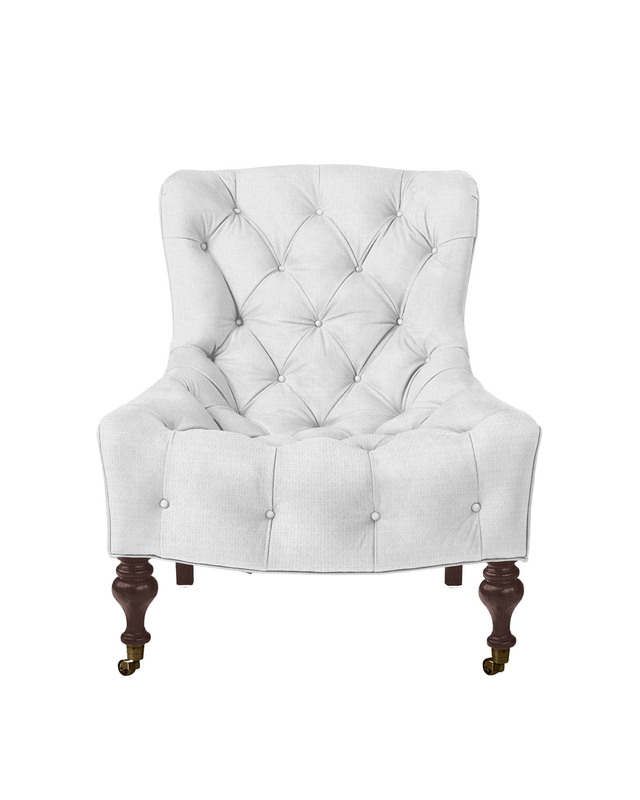 Tufted all over with a low profile and scooped seat that draws you in and makes it next to impossible to leave. Durable construction reinforced with double dowels and corner blocks. Fabric care: Spot clean with mild, water-free solvent. Let dry naturally. Leather care: Occasionally wipe with a dry cloth. To clean difficult areas, use a clean cloth slightly dampened with distilled water to blot stain. 32"W x 36"D x 38"H overall.